· MS Access version of SQL is called JET SQL (native format) etc. · Allows users to access data in relational database management systems. · Allows users to describe the data. · Allows users to define the data in database and manipulate that data. · Allows to embed within other languages using SQL modules, libraries & pre-compilers. · Allows users to create and drop databases and tables. · Allows users to create view, stored procedure, functions in a database. · 1970 -- Dr. Edgar F. "Ted" Codd of IBM is known as the father of relational databases. He described a relational model for databases. · 1986 -- IBM developed the first prototype of relational database and standardized by ANSI. 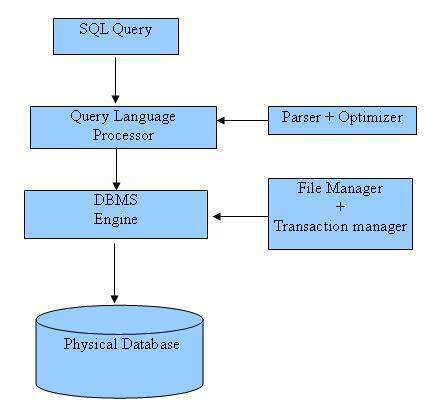 The first relational database was released by Relational Software and its later becoming Oracle. There are various components included in the process. These components are Query Dispatcher, Optimization Engines, Classic Query Engine and SQL Query Engine, etc. Classic query engine handles all non-SQL queries but SQL query engine won't handle logical files. Deletes an entire table, a view of a table or other object in the database.